Anyone who likes looking at baby pictures, this should set your heart a flutter. The above image was assembled using the ESU's Planck observation craft. Planck collects data on background microwave emissions, aka the remains of the beginnings of the Universe. The image, released yesterday, is the furthest back we've ever been able to see the Universe, depicting light emitted when it was only 380,000 years old. Might not seem like a baby, but Planck's data shows that the Universe is 13.82 billion years old. Not only that, but its expanding slower then was previously thought. The data was gathered over 15 months, resulting in the youngest ever image of the cosmos. The extreme contrasts in the image are temperature fluctuations which began at the quantum level in the micro moments after the big bang, and eventually grew into the areas hospitable for stars to form and galaxies to cluster, leading the the current universal configuration. 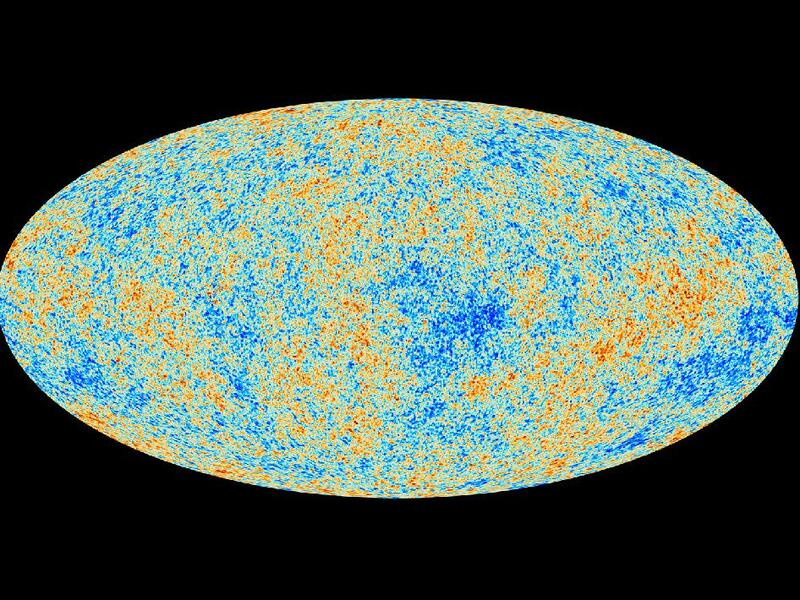 One of the fascinating discoveries made using this Planck data is that these fluctuations are not uniform, and that the universe is actually slightly lopsided. This data is new, so the implications of this are still in the early days. The data also provided physicists some new percentages in universal make up. According to Planck, the Universe is 4.9 percent normal matter, 26.8 percent dark matter, and 68.3 percent dark energy. Normal matter estimates are up, and the dark energy is down four whole percentage points. It doesn't help scientists to understanding what dark energy actually is (it does, actually, because all data aids in determining cause, but that isn't poetically hyperbolic), but it is an important piece of information. Why should we spend time and money researching what the universe looked like nearly 14 billion years ago? Because, by knowing what things looked like then, we can get an idea of what things look like now (especially those things we can't directly see), and gives us better models to predict what the Universe will look like later. These are literally the big questions in life: where did we come from, where are we going, what will things be like when we get there? It is fundamental philosophy, answered in beautiful, elegant, "simple" science.